Description: Women's Adidas Originals EA Tank Top in a Red / Creme White colour combination. Description: Adult's Adidas Originals 'Campus' Trainers. Features a pony hair style three-stripe design on the sides and back heel. Also includes the Adidas originals logo in silver on the front tongue. Description: Women's Adidas 'Prime Tee Mix' T-shirt. Feature the the Adidas logo on the front upper chest. Black colour. 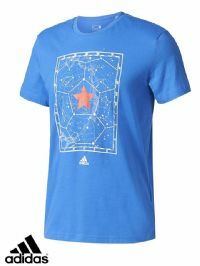 Description: Men's Adidas Russia Space Tee in Blue with White / Red Graphic Print. Description: Men's Puma Cheetah Style Print Wild Pack Crew Neck T-shirts. 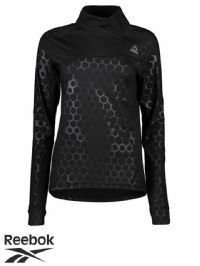 Description: Women's Black Reebok Hexawarm Quarter Zip Top. Featuring Hexawarm, a lightweight but insulating material. 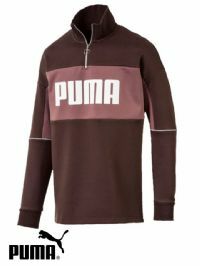 Description: Men's Puma Retro Crew Turtle Rib Nexk Top with 3/4 Zip. In Burgundy Wine colour with White large Puma text logo. Description: Men's Black WOR Elitage Over Head Hoodies. 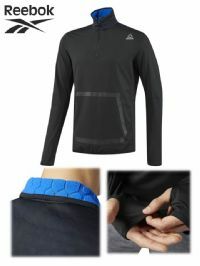 Description: Men's Adidas Originals Winter Full Zip Hoody in Black with Black Embroiderey. 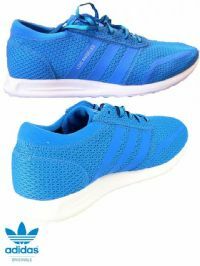 Description: Adult's Adidas Originals Blue / White Los Angeles Trainers. Description: Women's Adidas Originals Stan Smith in a unique Copper Metalic style skin. Description: Adult's Adidas Originals 'Indoor Super' Trainers. Features the Adidas Originals logo on the front tongue and back heal. Also includes red and gold stripes on the sides. Retro classic design. Description: Adult's Adidas Energy Cloud 2, Trainers in a Blue / Navy / White colour combination. Description: Adult's Adidas Originals GAZELLE STITCH AND TURN Trainers in a Suede Green with De-bossed 3 Stripes along the side. Description: Women's Adidas Originals Swift Run Trainers in a Pink / Feather White / Black colour combination. Description: Adult's Adidas 'Superstar 80s' Trainers. Features the Adidas Originals logo on the front tongue and on the back heel. White leather exterior, with the classic Superstar rubber toe front. Description: Men's Puma Retro Crew Neck Top in a White / Navy / Red colour combination. 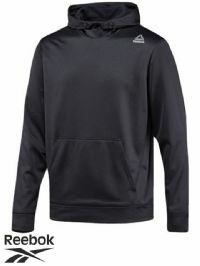 Description: Men's Reebok Hex Warm Quarter Zip Top in Black. Description: Men's Puma Hooded Sweat Track Suit in Black with White Bold Puma Logos. 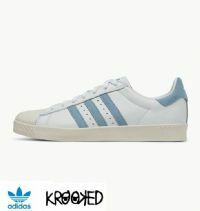 Description: Adult's Adidas X Krooked 'Superstar Trainers. This is a special edition Adidas collaboration with the Krooked skateboard brand. Features the Krooked 'eyes' logo on the front tongue and the Krooked 'flower' logo on the back heel. White leather exterior, with the classic Superstar rubber toe front. Please note this particular product comes in plain white boxes (B grade) and as such may have some minor imperfections. However this has been deemed sellable by Adidas. 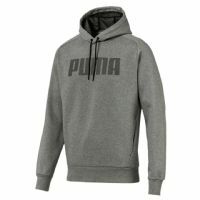 Description: Men's Puma hoody. Features the Puma logo on the front. Also has a fleece lined interior for added warmth. Description: Men's Under Armour Black thin stretchy Track Pant. Description: Men's Puma MCS Black / White Track Pants. 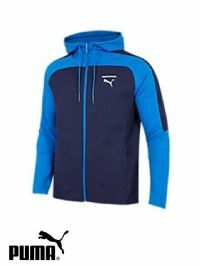 Description: Men's Puma Pace NET Full Zip Hoody in a Navy / Blue colour block. 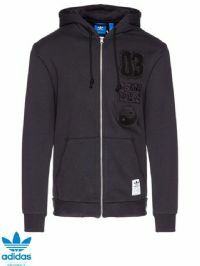 Description: Men's Puma 'Rebel Bold' fleece Fullzip hoody. Features the Puma logo on the front.